Redevelopment of this ‘at risk’ Grade II listed building, formerly used as a school, to residential apartments with enabling housing development. 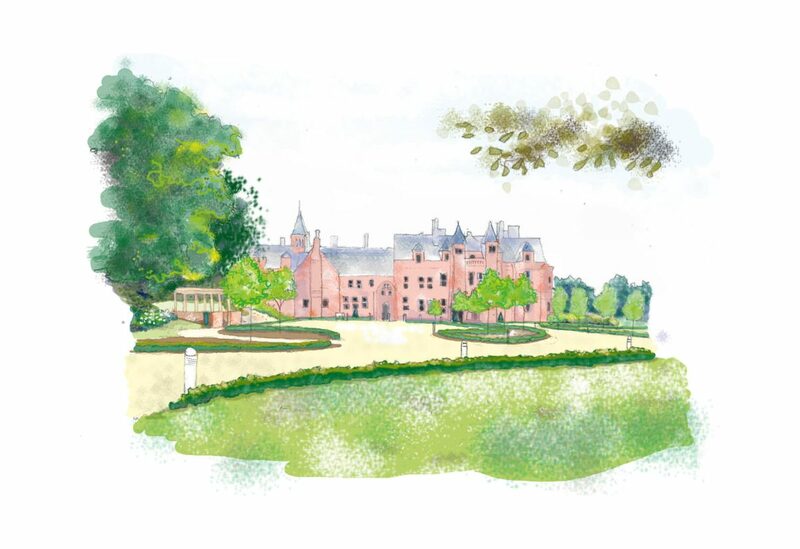 The site is a registered Historic Park and Garden set within the heart of the High Weald AONB. The enabling development requires removal of protected trees to form a new access and the provision of ten private residential dwellings within part of the grounds.